Citroen, Ford and Dacia are just a few of the manufacturers to be affected by DVSA vehicle recalls in October 2017, with airbag problems, seat fixings and bonnet strikers being among the serious safety concerns. 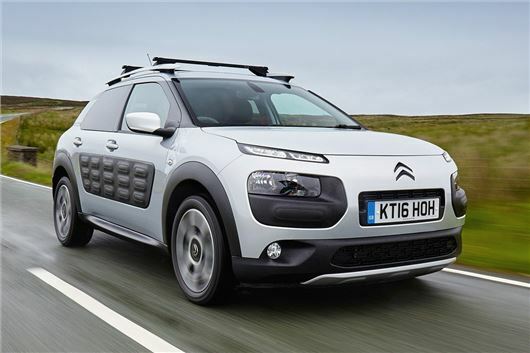 The largest DVSA recall in October is for the Citroen C4 Cactus, with almost 17,000 being affected by a bonnet problem. According to the recall notice, the striker wire on the bonnet lining may not have sufficient support to hold the bonnet down. This could lead to incorrect locking of the bonnet over time and could result in an unintentional release. The DVSA has also issued a recall thousands of Ford due to a side and knee airbag problem, which affects the Kuga, Focus and C-MAX, while a notice for more than 9000 Smarts has made over a handbrake issue. And it's not just DVSA notices that have been making headlines in October, Mercedes-Benz is also recalling more than 400,000 cars in the UK over airbag problems.